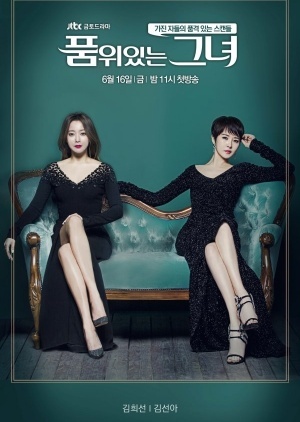 Woo Ah Jin (Kim Hee Sun) lives a luxurious life due to her wealthy father-in-law, but her father-in-law’s finances become decimated and her husband betrays her. Woo Ah Jin’s life hits rock bottom. Meanwhile, Park Bok Ja (Kim Sun Ah) is a mysterious woman and she hides her heartbreaking story. She brings about fierce hardship on Woo Ah Jin.